Movie Night With Good Friends and Good Snacks! Have You Tried Gary Poppins Popcorn? I love hosting summer get-togethers for my family and friends. Typically I plan backyard barbeques but when this hot California sun has everyone wanting to run, we move the party indoors for a movie. Movie nights can be a lot of fun IF you pick the right movie and the right snacks. This is a sponsored post in partnership with Gary Poppins Popcorn. All opinions are 100% my own. Just like no one wants to watch a boring movie, no one wants to eat a boring snack. That’s why I serve Gary Poppins Popcorn. *NEW! My readers can get 10% off with promo code GIVEAWAY10. Have you ever heard of Gary Poppins Popcorn? 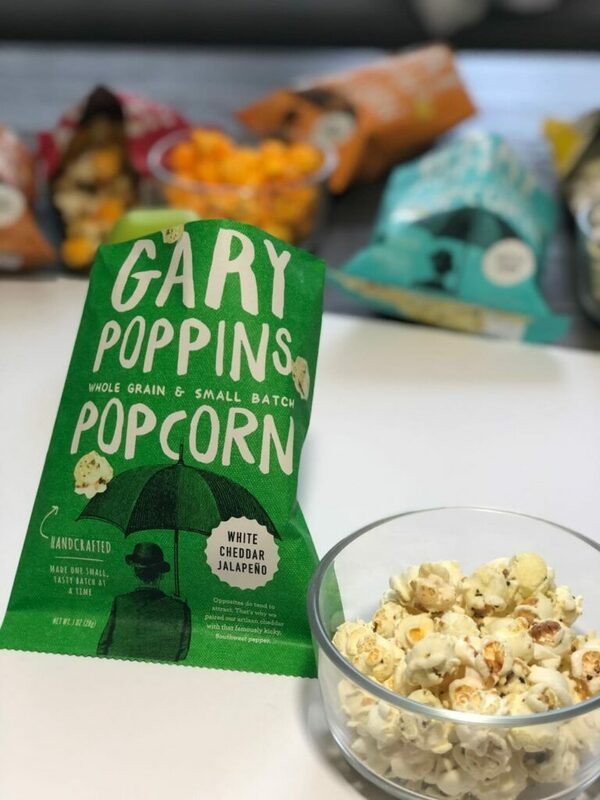 You won’t find it in stores because Gary Poppins Popcorn is freshly made with Whole Grain & Non-GMO Corn, one small batch at a time the day you order it by a family owned and operated business right here in the USA. 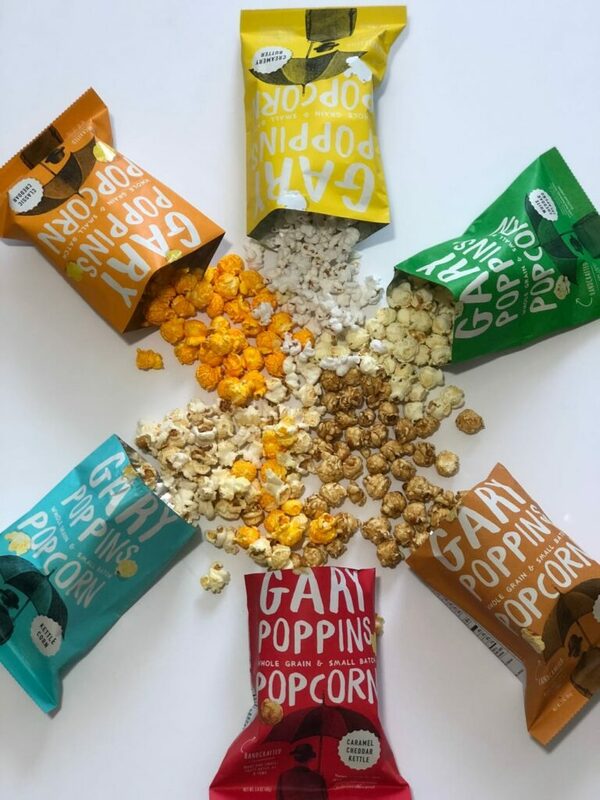 Gary Poppins Popcorn offers 45 gourmet flavors that include Seasonal Favorites, Lite Delights, Sweet, Savory and Mixed options. You can order individual flavors, divided tins, and variety packs. I recently served the “Best of Gary Poppins Collection” at my movie night party and it was a big hit. This variety pack includes 6 different flavors so everyone was able to choose the flavor they wanted. The flavors included were Caramel Cheddar Kettle, Classic Caramel, Classic Cheddar, Kettle, White Cheddar Jalapeño, and Creamery Butter. 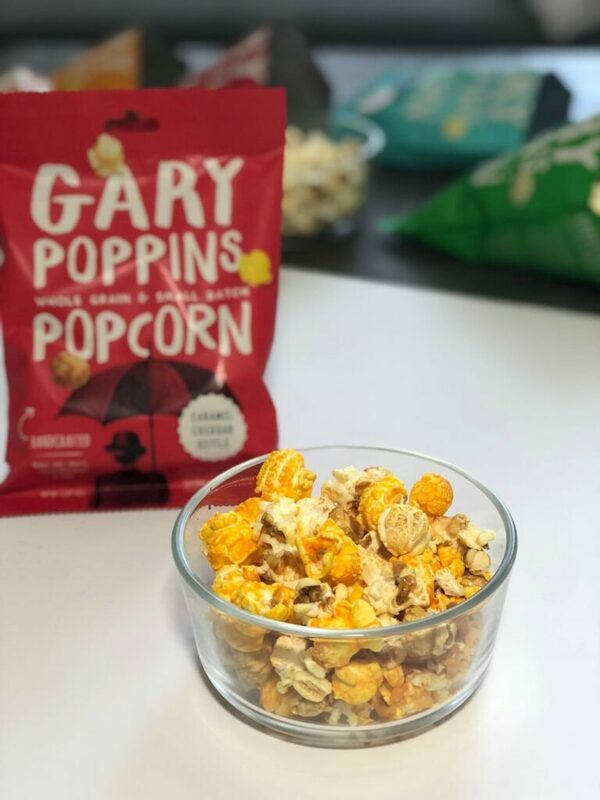 My favorite from the Best of Gary Poppins Collection was the Caramel Cheddar Kettle which gives you three delicious popcorn flavors in one bag. Thankfully the collection comes with three bags of my favorite so I can share. Everyone wanted to try a bite of the White Cheddar Jalapeño which is a blend of artisan cheddar and the Southwest Jalapeño pepper. It is definitely a tasty popcorn that shows that opposites attract especially when it comes to flavors. You may want to order additional bags of the White Cheddar Jalapeño since only one bag of it is included in the collection. 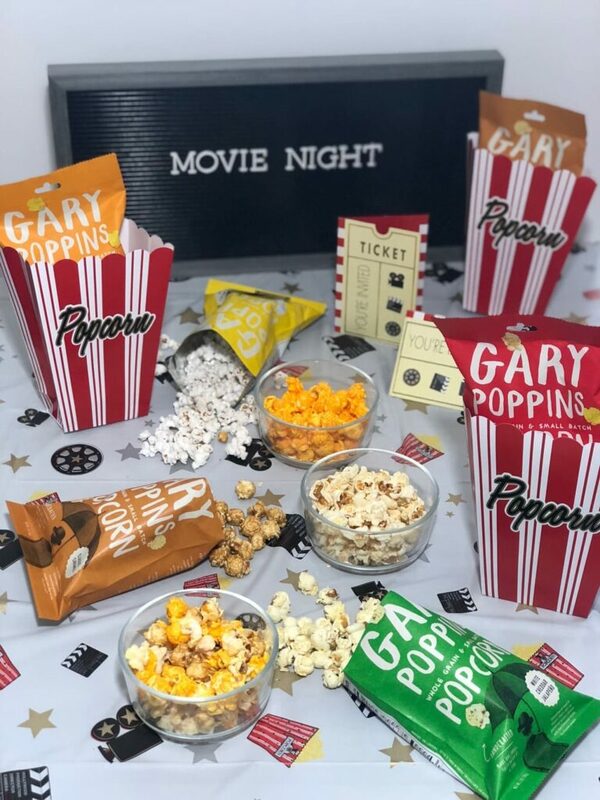 You also get one bag of the Kettle and Creamery Butter flavors and 2 bags each of the Classic Caramel and Classic Cheddar flavors for a total of ten bags of gourmet popcorn included in the Best of Gary Poppins Collection. Gary Poppins Gourmet Popcorn is great on its own but also makes a delicious topping for ice cream sundaes or use it to make gourmet popcorn balls. If you’re not completely 100% satisfied with your order they will give you a replacement or refund with no questions asked. Need to send a gift? Give the gift of popcorn! I am sending a package to my niece who is leaving for college soon. You can win your own The Best of Gary Poppins Collection single serve 10-pack now through August 31st, 2018. A new winner will be chosen each week so make sure to enter now and increase your chances by visiting Gary Poppins’ Facebook and Instagram pages, following their Twitter account and subscribing to their YouTube channel after filling out the easy entry form. Get additional entries with your unique referral code that’s provided on screen after you enter and in your entry confirmation email. There’s an unlimited number of referral entries so invite away. As an added bonus for entering the giveaway, your confirmation email includes a coupon code for a 10% discount on your first order. The cheddar Carmel kettle looks delicious!